GCert SustBus, GCertSurvResMethods, GradDipAppCorpGov, MEnvMgt, MHRM, MBA, MAppMgt(Public Health), MOHS, PGDipHlthSc(OSH), Cert Hlth Ec, GDipEd(Sec), BEc.CPMSIA, ACSA, ACIS GAICD ChOHSP Angela has more than 20 years Safety Leadership experience and is currently the National Risk Manager for Lifestyle Solutions. Prior to this she previously worked in logistics, FMCG, manufacturing, mining and emergency services holding OHS roles with Patrick, Goodman Fielder and Rio Tinto (coal and iron ore). 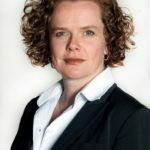 Angela is the current Chair of the Board. 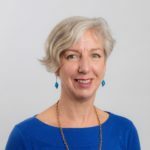 PhD (UWS), MSc (Lond), MEngSc(UNSW), BSc(UNSW), COH, CIH, ChOHSP, FAIOH, FSIA, Sue is currently Director, Occupational and Environmental Health and Safety, School of Medical & Health Sciences, Edith Cowan University. She has over 38 years’ experience as an academic, researcher and practitioner in the field of occupational health and safety, specifically in the field of occupational and environmental hygiene. 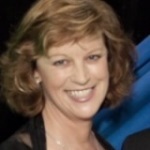 Sue is a past President of the AIOH and is currently the Deputy Chair of the Board. BSc, MSc, PhD, FSIA Emeritus Professor University of Queensland. Mike has held teaching and research positions at eight universities in Australia, Fiji, New Zealand and the United Kingdom. He has taught in areas of biology, physiology, toxicology, research methods, and occupational and environmental health. Mike has been involved in projects in many countries, including Mozambique, Vietnam, Singapore and Malaysia. Mike is a past Chair of the Board. 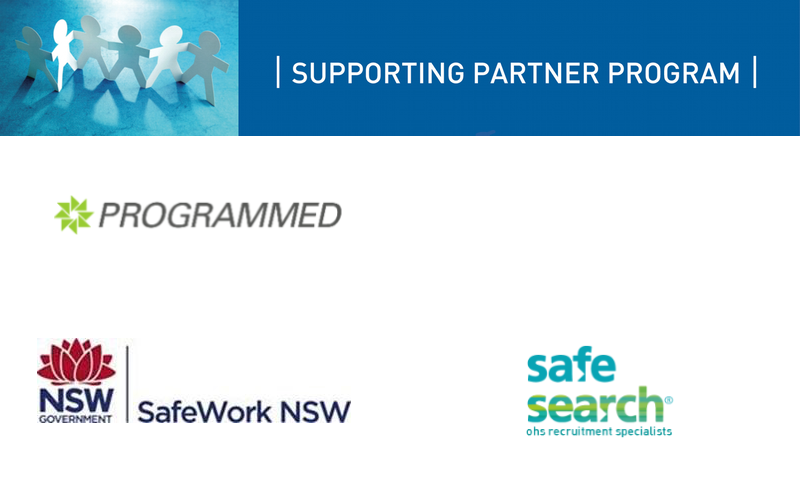 PhD; MSc (Research); B App Sc (OT); G Dip Safety Sc; G Cert Health Sc (Education); Cert IV Workplace Assessment & Training; CPE. Senior Lecturer, WHS Programme, University of Wollongong. Alison has had a varied career, working initially as a clinical occupational therapist in Australia and the UK and then in OHS for almost 30 years. Alison has held roles in injury management, safety management, workers compensation, ergonomics and human factors. She has been involved in work-related musculoskeletal disorder research for the NSW government and has research students across different disciplines at the University of Wollongong. Assistant State Secretary, Australian Manufacturers Workers Union (QLD). Brian Devlin was a primary school teacher for 18 years prior to working in the union movement. Brian is heavily involved in workplace health and safety advocacy and education. BA, DipT, DipEd, DipEd, MA(Research) Fellow Australian College of Educators, Emeritus Professor, University of South Australia. Bruce has held positions as Director of the Flexible Learning Centre and Director Distance Education at the University South Australia. He has also held senior appointments within TAFE NSW and been a board member of three multimedia companies. He developed an international reputation by pioneering distance education as a field of study, numerous international conferences and consultancies, his membership of the editorial boards of three international journals and the international advisory board of the Centre for Research in Adult and Distance Learning at the Open University of Hong Kong. He was the Australian member of the UNESCO Committee of Experts on Distance Education in Moscow and represented the Government in Japan and Thailand on online learning issues. 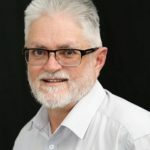 Senior Lecturer, Monash Centre for Occupational & Environmental Health (MonCOEH) David has worked in occupational medicine since 1973 and now teaches medical undergraduates in occupational medicine and postgraduate students in toxicology. He also holds a part time role as Education Project Officer of the Australasian Faculty of Occupational & Environmental Medicine (AFOEM) in the Royal Australasian College of Physicians. General Manager, Safety, Coles Genevieve has worked in the health and safety arena for over 20 years operating from different stakeholder perspectives in large and small businesses, insurance and consultancy across a range of industries with a particular focus on leadership and culture change. In addition to her safety role at Coles Genevieve is a non-Executive Director of the Alcohol and Drug Foundation of Australia. MA Health & Safety Law and Environment Law (UK), DipNEBOSH, CMIOSH, ChOHSP, Member of Institute of Railway Operators Graham has an extensive background in safety within the rail industry. He was Head of HSEQ for the Project division of Network Rail in the UK which gave him a broad background in all aspects of safety within the rail, manufacturing and construction industries. 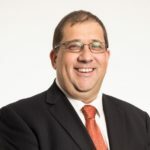 Moving to Australia in 2008 he took the role of General Manager Safety for the NSW Government owned Transport Infrastructure Development Corporation which became part of Transport for NSW, where he is now the Director Safety & Engineering Systems. Graham’s safety focus has been based upon workers, customers and public and he considers all three as equally important. MAppSc Environmental Health, Grad Dip OHS, Grad Cert OHS, Cert IV TAA, MAIOH, Certified Occupational Hygienist. Course Co-ordinator Occupational Hygiene Practice Programme, University of Wollongong. Jane commenced work in the Aluminium industry as a Chemist before moving into the area of Occupational Hygiene. She was the Australasian Corporate Hygienist for Alcan Aluminium for 10 years, before moving into Senior Management in broader OHS roles in the Paper and Steel industries. Education of management and the workforce was a strategic element of OHS systems that led Jane to a research interest in adult education, behavioural safety and workplace culture change. Jane has been a lecturer in the OHS postgraduate unit at the University of Wollongong since 2009. BSc(Med), MBBS, MOHS, PhD, FAFOEM, FAFPHM Post graduate Coordinator, Research; Joint Academic Coordinator, Master of Public Health; Sydney School of Public Health, University of Sydney. Tim is Associate Professor in epidemiology and occupational medicine and also chairs the Education Committee of the Australasian Faculty of Occupational and Environmental Medicine. Aldo Raineri is currently the Discipline Leader - Occupational Health and Safety at CQ University. He holds undergraduate and postgraduate qualifications in law, management, criminology, training and development, safety and security management. Prior to commencing with CQ University, Aldo was the Director – WHS Policy with the Queensland work health and safety regulator and in that capacity was involved in every major strategic and operational government safety initiative during that time.